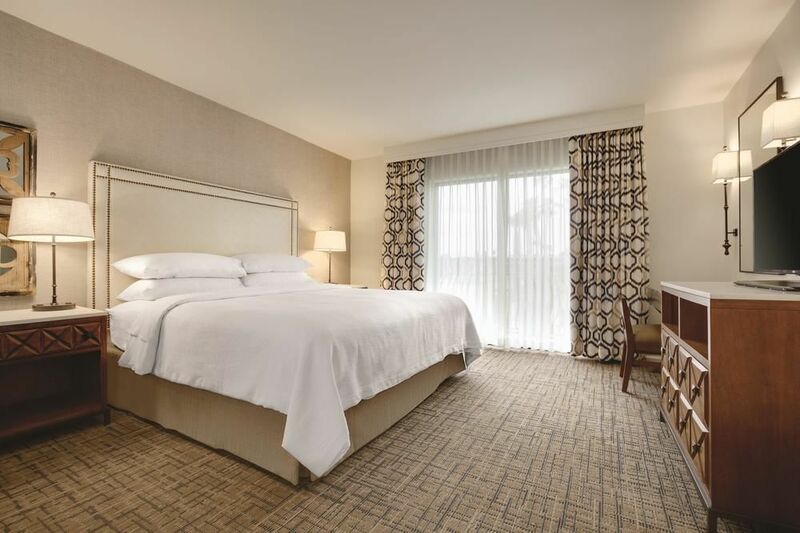 Embassy Suites Resort is a full service all suite resort. Each suite comes with a galley kitchen featuring microwave, refrigerator, complimentary coffee/tea. They are also equipped with an in-room safe, iron/ironing board, sofa bed, two TV's and clock/radio. We have two heated courtyard pools and whirlpools, as well as a complete workout facility at no extra charge. Our resaurant features reasonable prices for lunch and dinner. We also offer lovely areas for private group events/dining. Complimentary parking, gift shop, laundry services, full cooked to order breakfast, evening reception, newspaper and high speed internet are also available.